Nothing bothers me more than wasting food. It’s like throwing money right in the trash and 9 times out of 10, the next time I go grocery shopping, I’m rebuying that wasted food! The other night I really wasn’t prepared for dinner and thought I’d end up making a meal I had in the freezer plus a salad but I realized I had some squash and a potato on their last leg and needed to make them that night. As much as I love veggies, Ryan is not going to appreciate a meal consisting of just a bunch of different vegetables and frankly, I probably wouldn’t like the meal these items were heading for either. So after combining a few recipes I’ve seen I came up with the perfect dish to use up all my veggies at once. It was super easy and really could have added a ton of different vegetables if I had others I wanted to use. Very versatile recipe as far as ingredient go! *tomato would be a yummy addition to this dish if your family likes tomato or any other round vegetable you need to use up. 2. Dice the onion and mince the garlic. 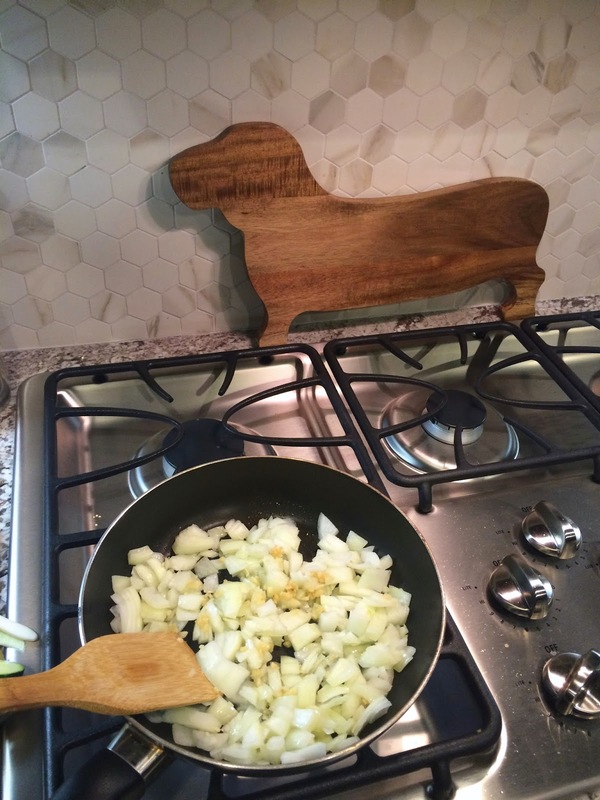 Saute in a skillet with olive oil until softened. 3. While the onion and garlic sauté, thinly slice all the vegetables into equally as thick rounds. 4. Prepare an 8×8 baking dish (I used coconut oil spray). Spread the onion mixture evenly over the bottom of the dish. Place the rounds in alternating order until the dish is full. 5. Sprinkle salt and pepper and thyme. Add shredded cheese as desired. 6. Cover the dish with foil and bake for about 30 minutes or until potatoes are about done. Uncover and bake an additional 5-10 minutes or until the cheese is golden brown. *This recipe is also great reheated the next day! 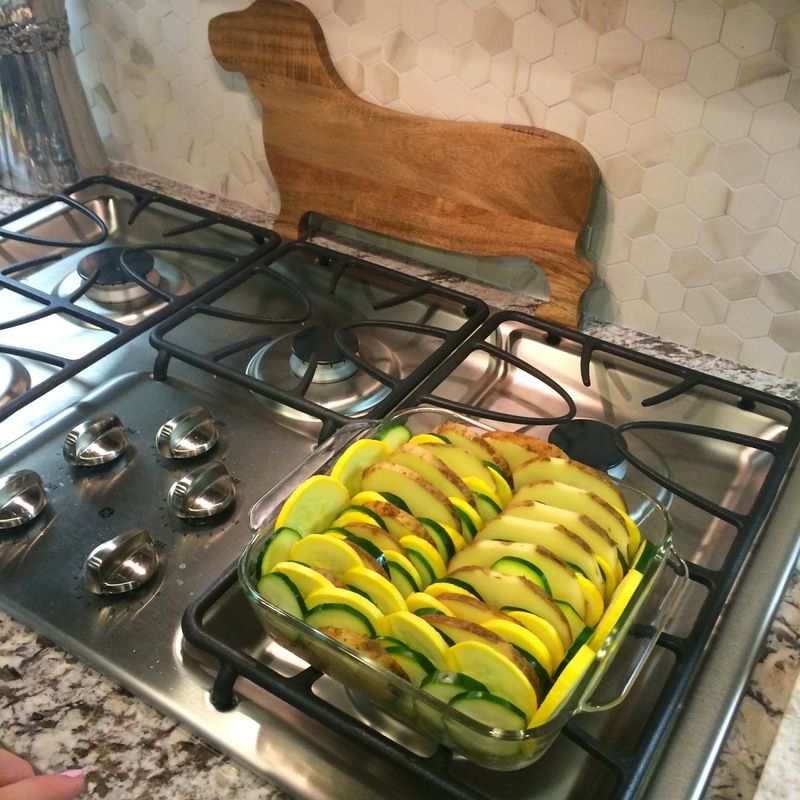 Depending on how fresh our veggies are will determine how long the dish will keep. 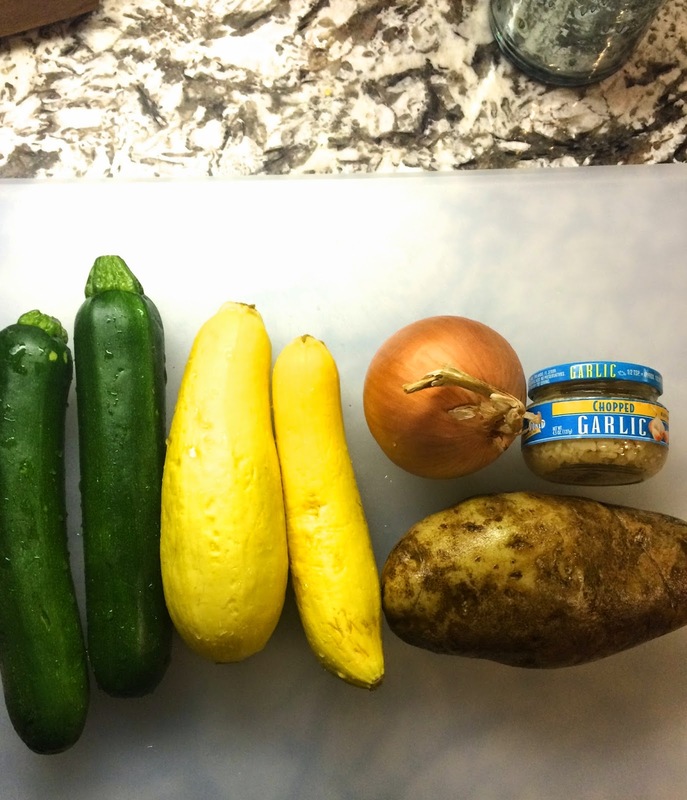 ** After thought: If I was going to the store to deliberately make this recipe I would try to find vegetables a little closer in size as our potatoes took longer to cook.